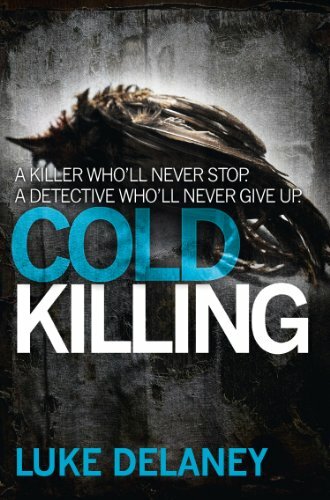 Luke Delaney takes the thriller genre to new heights with his debut crime novel, Cold Killing—an unforgettable and haunting duel between a seasoned detective and a brilliant serial killer. 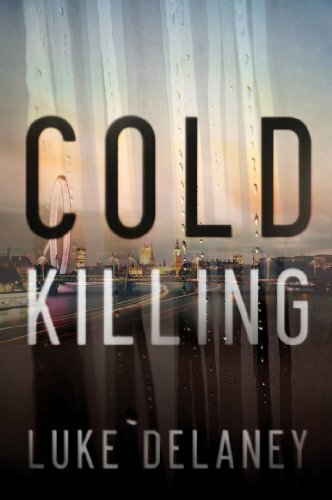 Former London murder squad detective Luke Delaney has created a cast of memorable and complex characters in this dark and psychological page-turner. For those that follow me on social media you will be aware that I have been raving about this new serial killer series that I have been reading at the rate of knots. I am absolutely addicted to this series, and although most of the books are near or over the 500-page mark, I have devoured nearly four of the books in as many days. As I said, addicted!! It is refreshing that Luke Delaney is an ex-detective with the Metropolitan Police. The attention to detail and the insider knowledge certainly reflects extremely well through procedures and the inside mind and workings of an active officer. I love Criminal Minds, CSI etc so am an avid fan of anything psychological and forensic and this series certainly melds both together perfectly. I loved how this author shows the police as real people, the effects their jobs have on their family and the pressures of what is expected and the little time that leaves for them to have a social life and more importantly family life. However, this is just a very small part of this book. This was a fantastic psychological thriller, one that leaves you guessing at every turn as you become so embroiled in the investigation you almost become a copper yourself. DI Sean Corrigan is a complex character and one that I came to respect. He is unconventional in how he tackles an investigation from the very beginning and I am hoping to learn a lot more about his past as this series progresses. Sean Corrigan has a knack of being able to put himself in the minds of the killers, he can think like them and can often predict their next move. This is not a gift he enjoys possessing, however, he loves the fact that it enables him to get results, despite the pain and mental suffering it can often inflict on him. Sean Corrigan immerses himself 100%, becomes tunnel visioned in his quest to succeed, he can be unfiltered, emotionally detached but this only enamours him all the more. In Cold Killing, Sean Corrigan is up against the perfect criminal, but even the best makes mistakes. No forensics, no single modus operandi, no correlation between victims, he is dangerous because he is unpredictable, or is he? Sean Corrigan is up against the seemingly impossible and as this book progresses the pressure only intensifies. For me, this book was unputdownable, I was engrossed from first to last page, was side swiped with the big reveal and was left desperately wanting more. So, onto The Keeper. For those that love serial killer books, psychological thrillers and/or police procedurals this book is up there for me. I can’t wait to read what comes next.